Future networks will cost about half of what traditional networks cost today. They will require a smaller capital investment to roll out, and will be cheaper to operate because they will be easier to manage, provide unified access, and require less power and cooling. That is according to the 2013 Network Barometer Report released by Dimension Data. Free to Air Television offers a lot more scope for the hospitality sector. Use commercial grade solutions to cover all your rooms. Use the same network for CCTV and security solutions. Use existing electricity grid and power line adapters to create a network. Use N300, N450, N900 and AC1200 wireless Wi-Fi to connect TV’s, tablets, PC’s, set top boxes and media players. Use satellite to Internet converters. Television and Video on Demand systems either stream content through a set-top box, a computer or other device, allowing viewing in real time, or download it to a device such as a tablet, cell phone, computer, digital video recorder or portable media player for viewing at any time, anywhere. The user selects a movie or television program and it begins to play on the screen almost instantaneously, or downloading to a DVR rented from the provider, or downloaded onto a PC, for viewing in the future. 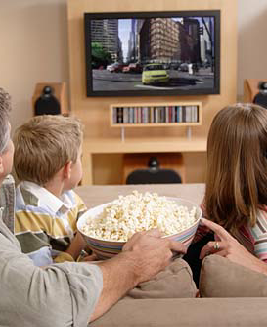 Internet television, using the Internet, is an increasingly popular form of video on demand. Home Network Diagrams, How to’s and White Papers..
A home network or home area network (HAN) is a type of local area network that develops from the need to facilitate communication and interoperability among digital devices present inside or within the close vicinity of a home. Devices capable of participating in this network–smart devices such as Smart TV’s, media players, network printers and handheld mobile computers can be used to increase the quality of life. The technology – Wi-Fi, ubiquitous broadband, and the cloud – may finally be in place to make smart homes a reality, but the final piece of the puzzle is in telling the marketplace that it’s out there. One of our main projects is to upgrade existing and creating new, and relevant, educational content. All teachers and learners should have access to quality education at school and in the comfort of their homes. Power line AV Adapters - use your existing electricity grid in your house to create a computer and TV network. Just plug in and enjoy 500 Mbps speed. Great for video.